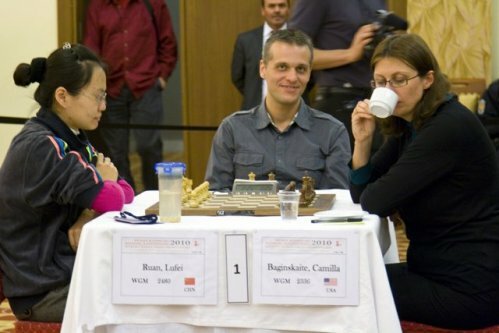 The first round of the Women's World Chess Championship 2010 concluded Monday with the exciting tiebreak games, after which 32 competitors qualified for the next stage. Chinese players dominated the quick tempo and even produced a couple of upsets. Ruan Lufei (2480) confidently outplayed Camilla Baginskaite (2336), while Hoang Thanh Trang from Hungary (2473) proved too strong for Ding Yixin (2370). 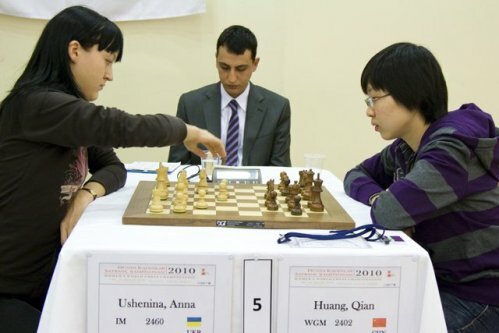 In the meantime, Zhang Xiaowen (2339) defeated Lilit Mkrtchian from Armenia (2479) by winning both rapid games, and Huang Qian (2402) eliminated Anna Ushenina (2460). 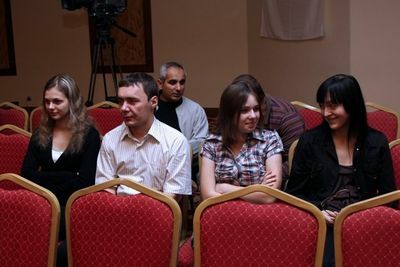 Both Mkrtchian and Ushenina advanced as far as to quarterfinals in the previous WWCC in Nalchik 2008. Previously in the mini-matches with classical time control, Baira Kovanova surprised her higher-rated compatriot Natalija Pogonina and moved ahead after a clean 2-0 victory. Russians directed more drama as Tatiana Shadrina knocked GM Elina Danielan, also with 2-0, and Evgenija Ovod used the advantage of white pieces to walk past Shen Yang. The reigning European champion Pia Cramling got herself eliminated by forgetting to make 40th move in the second game against Betul Yildiz. First game was drawn and the Swedish star didn't even have a chance to contest the tiebreaks. 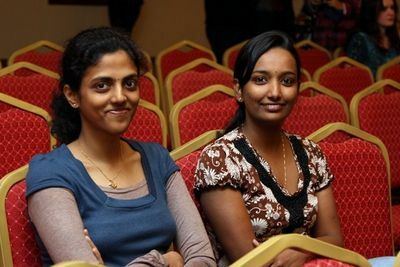 Australian representative Arianne Caoili didn't appear for the first round and Iweta Rajlich couldn't take off from Poland because Warsaw airport was closed.